It sure has been feeling like Spring lately. Hope you are enjoying it as well. 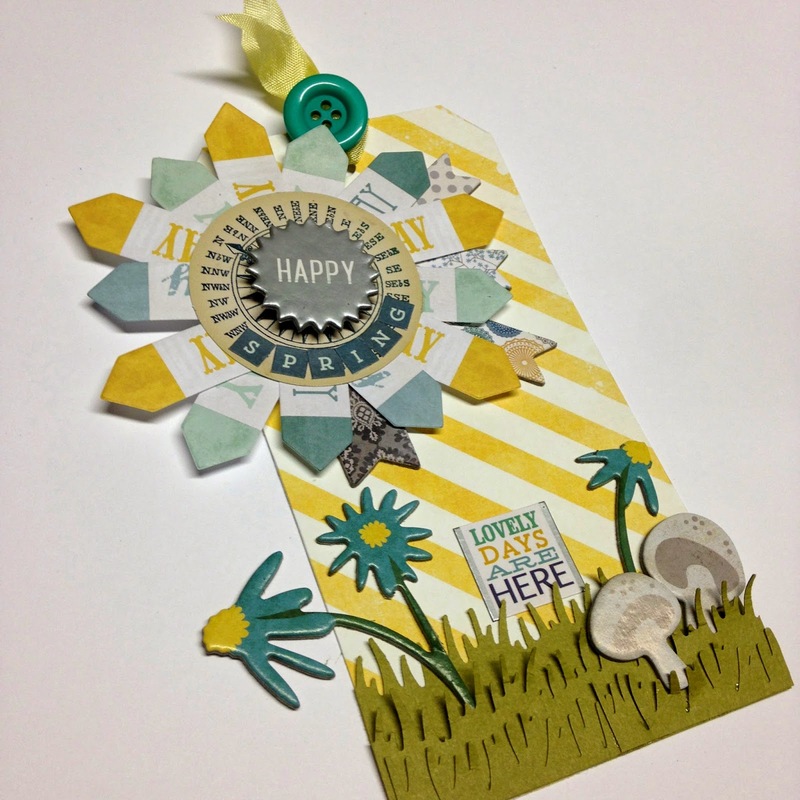 I have a tag tutorial for you today that is fun and light. 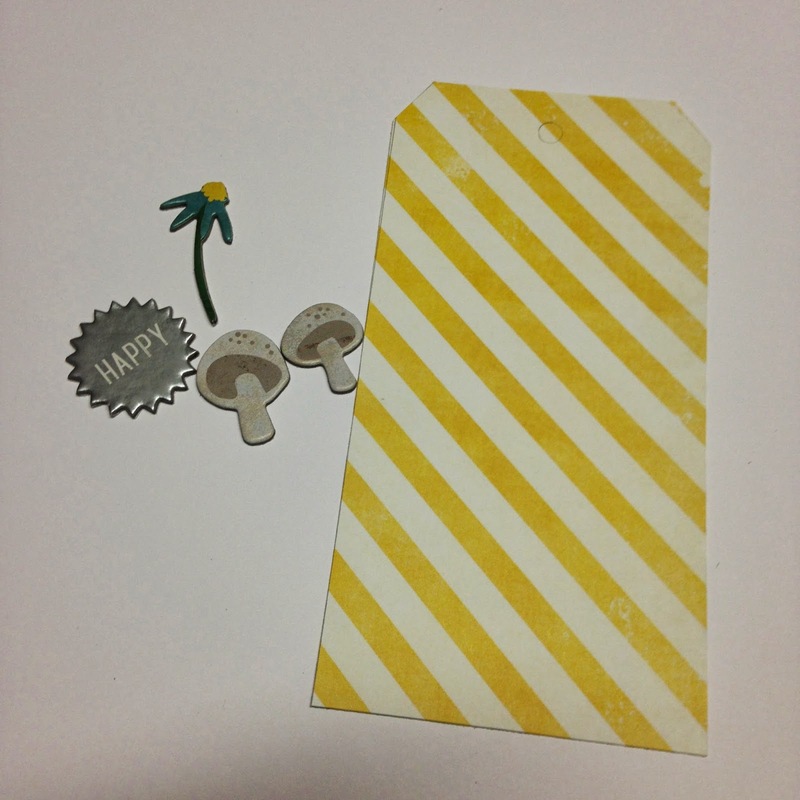 Make a tag with the yellow and white stripe paper. 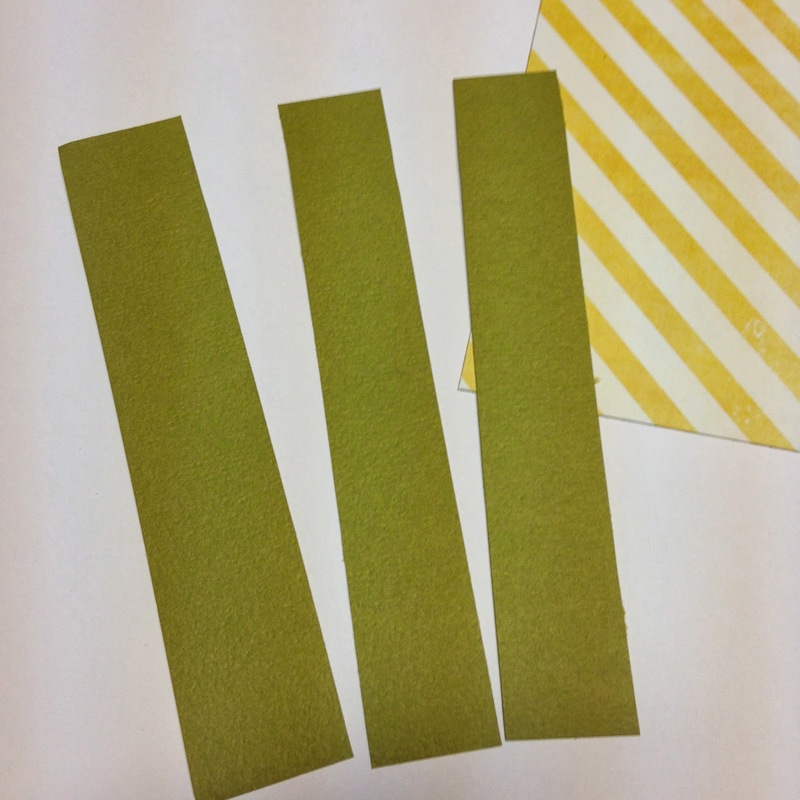 Cut 3- 1" strips of green card stock then boarder punch with grass punch. 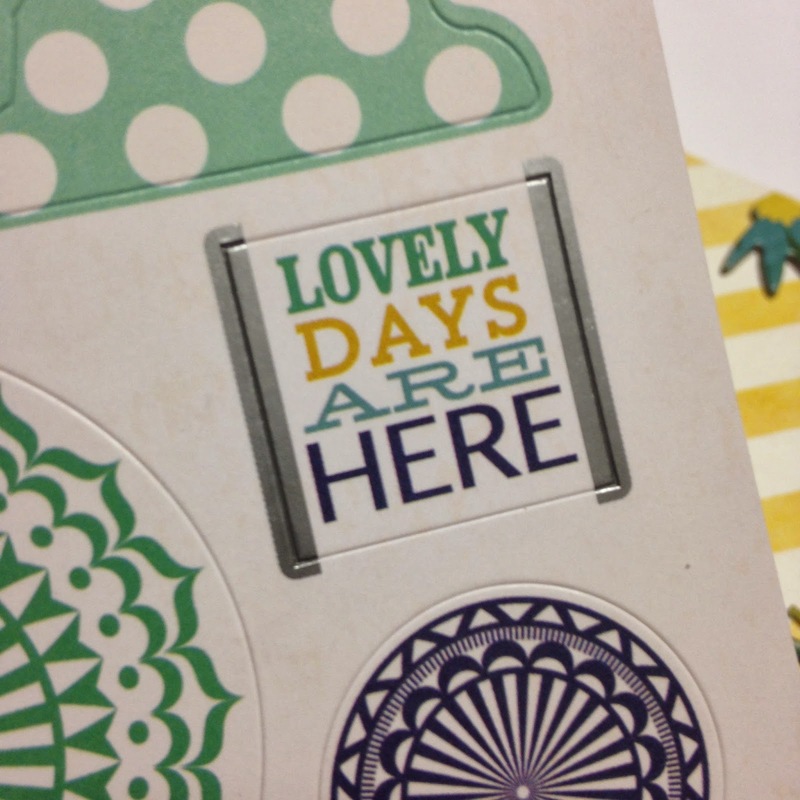 Adhere to the bottom of the tag with Tombow Glue. 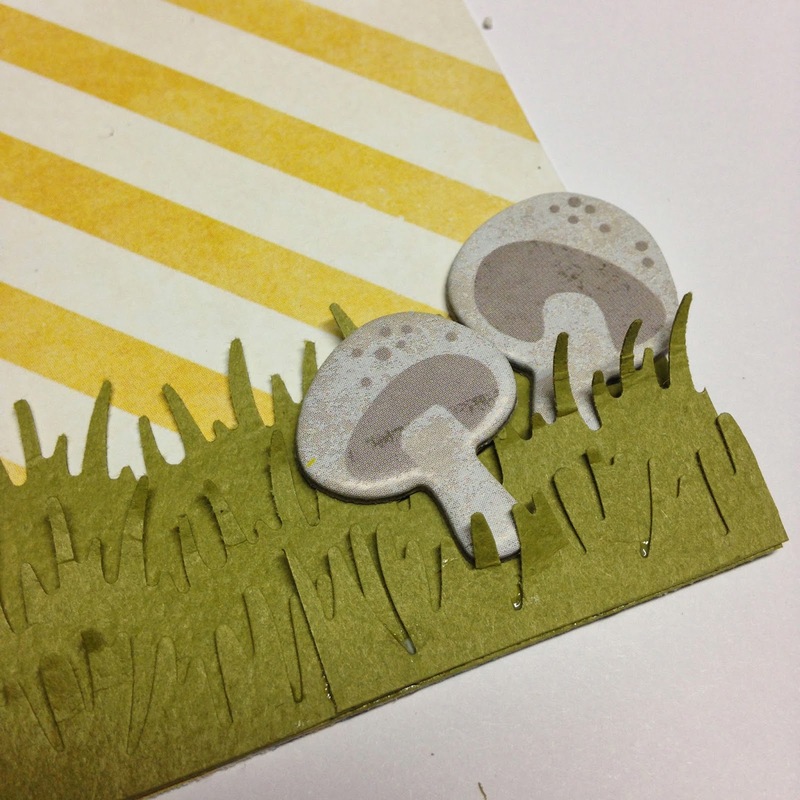 Add the flowers and mushrooms from the chipboard stickers. 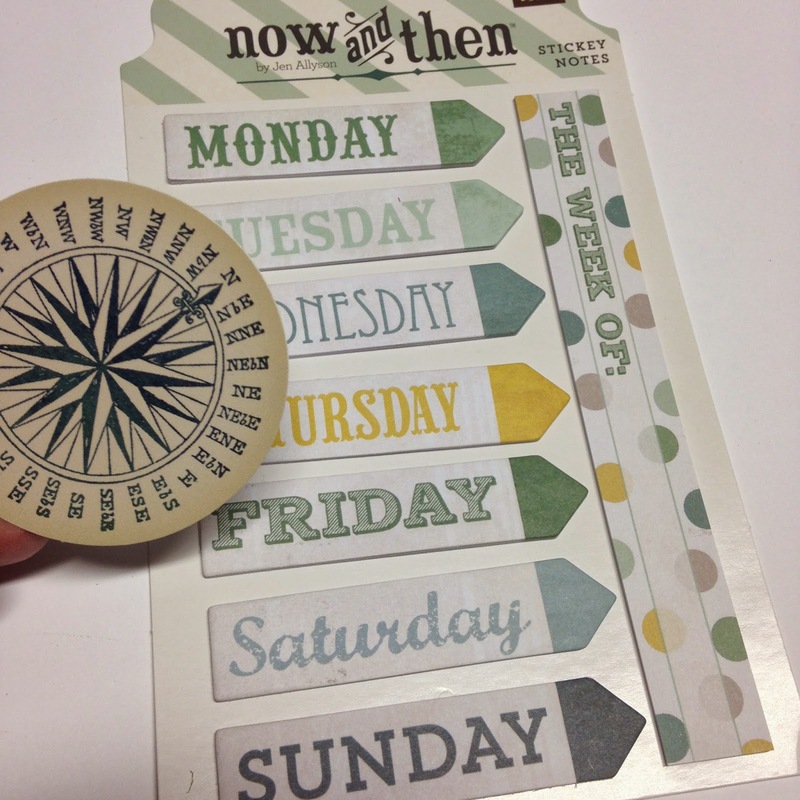 Making the sun, Find the Sticky Note tabs, the compass from the ephemera pack and the Happy chipboard sticker. 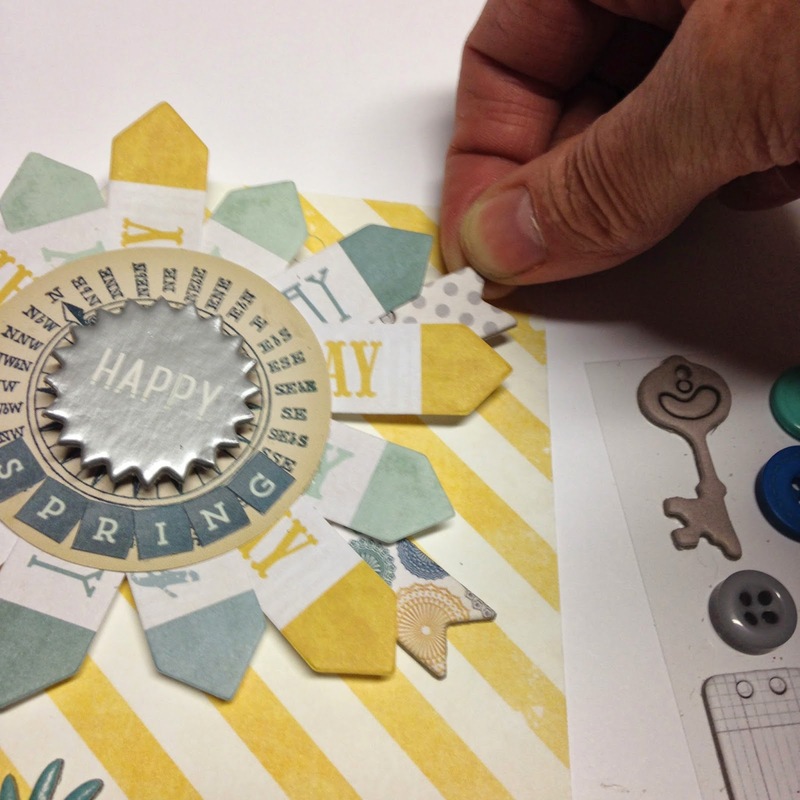 Right under the Happy Sticker add the word Spring with the letter packs. 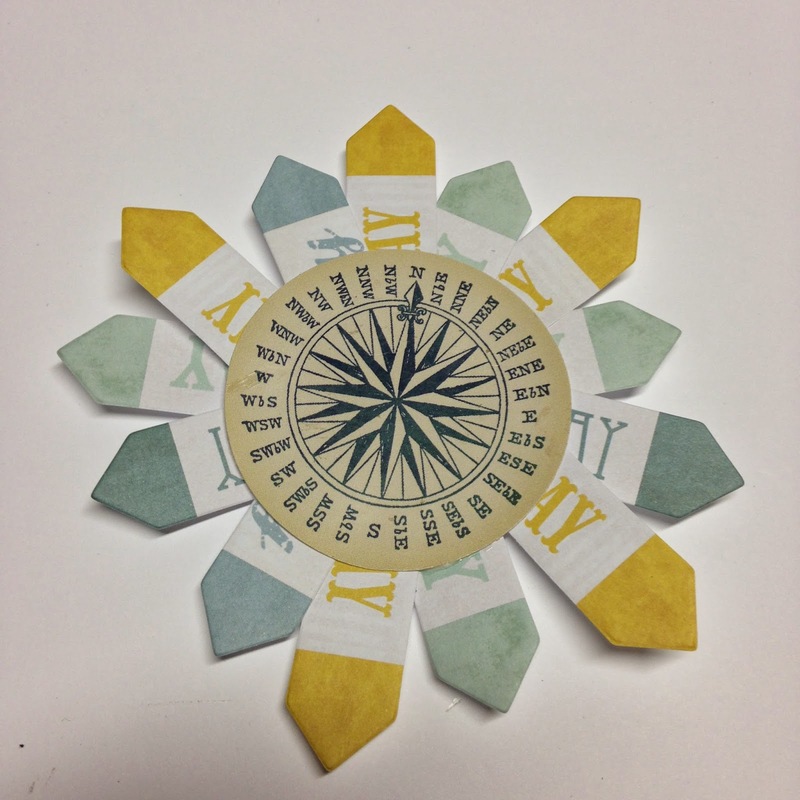 Using the Tombow Glue add the sticky note tabs to the back of the compass. 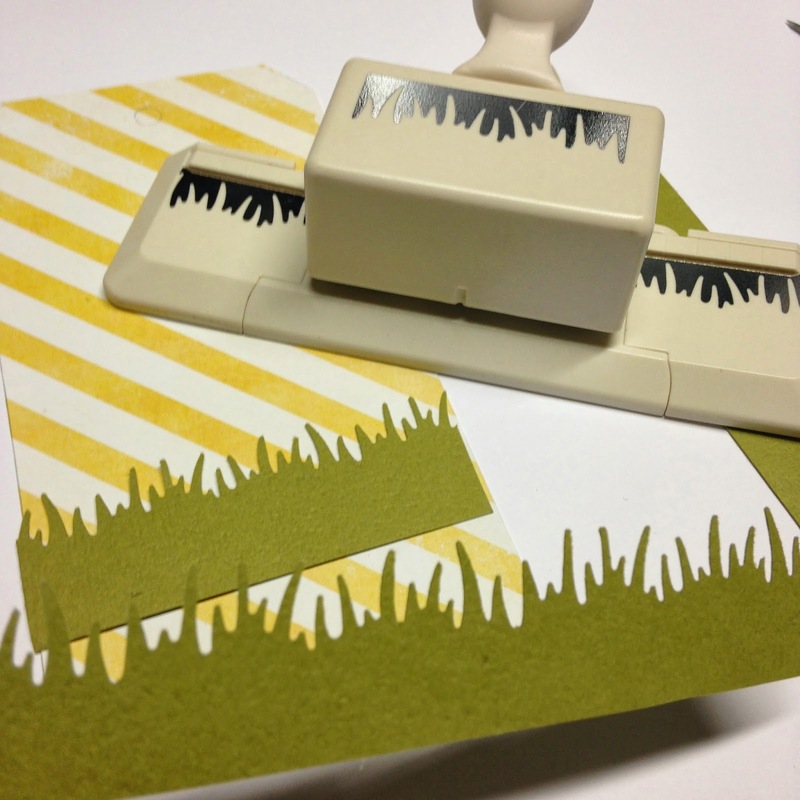 Add 3D tape to the back and attach to the tag in the upper left corner. 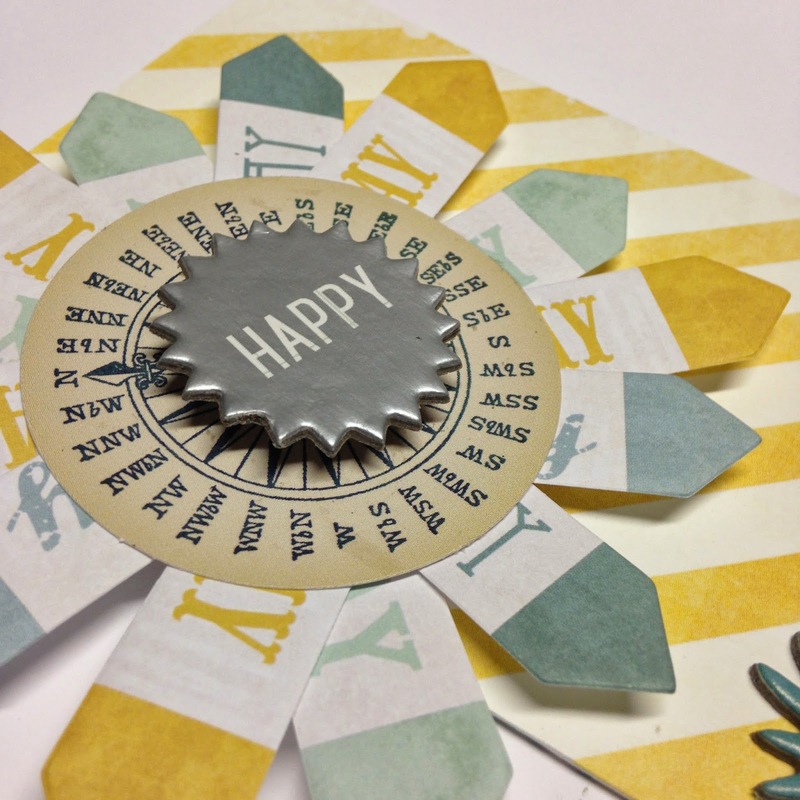 Layer the Happy Sticker with 3D tape on top of the compass ephemera. Place the "Lovely Days Are Here" sticker right above the grass. 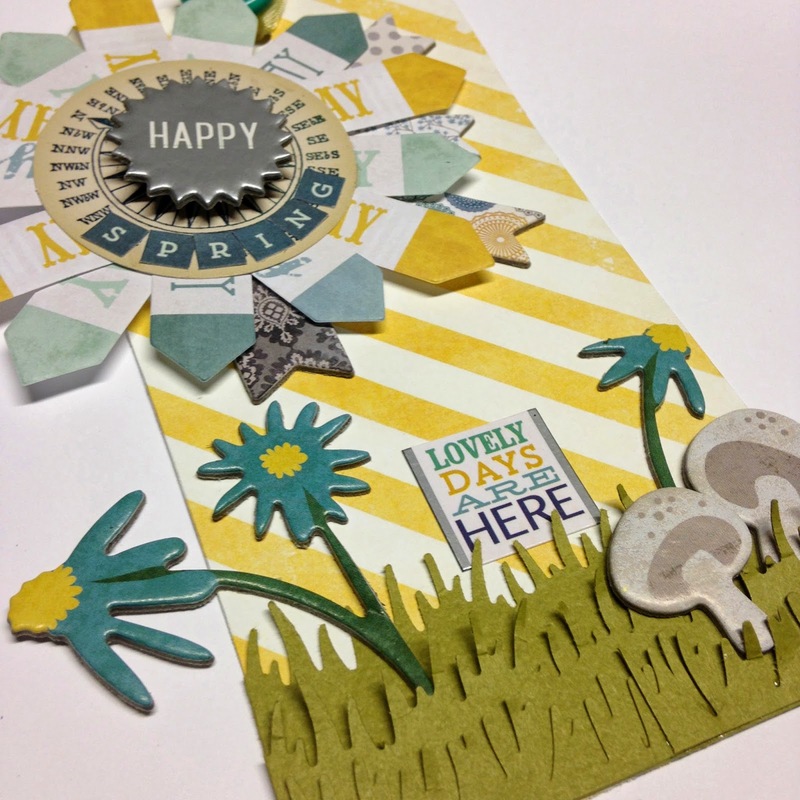 Add the Chipboard Banner stickers peeking out under the sun. Punch hole with hole punch at the top. 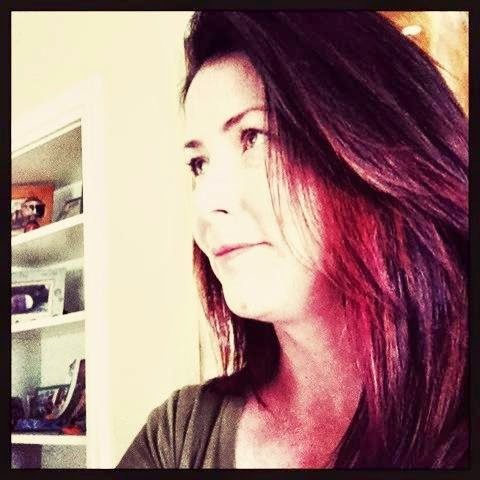 Add the ribbon and blue/green button to the top from the collection.